It&apos;s March- a magical time in Indiana. As the cold of winter starts to fade away, you can look forward to the spring buds rebounding; time to utilize your screen doors and enjoy the transition to warmer weather. It&apos;s time to open your windows and let your house fill with the sounds of light spring showers dribbling on sidewalks. Wow, for some reason all this talk of March has me has me feeling like talking basketball. Hmm... Wonder why? It&apos;s not called Hoosier Hysteria for nothing. First things first: you can&apos;t follow basketball in Indiana without knowing the key players. More often than not, Indiana supplies more teams to the NCAA tournament than any other state. This year five schools are likely going to make it to the Big Dance: Indiana University, Purdue, Butler, Notre Dame, and Valparaiso. These schools will give you plenty of local heroes to root for, round after round. Since the tournament locations don&apos;t include Indiana this year, and my wife can&apos;t win Wife of the Year two years in a row (she got me FINAL FOUR tickets last year), I am going to turn my hysteria into hospitality and share the details on how to enjoy the tournament in Hamilton by highlighting my favorite spots to see the my favorite sport. My first recommendation is Scotty&apos;s Brewhouse in Noblesville or Carmel. Scotty&apos;s has a special relationship with Butler, so if you&apos;re going to Scotty&apos;s to watch the tourney, you best be wearing your Butler blue and white (in case Scotty himself shows up). Want to know my favorite part? The Noblesville location is the most family friendly sports bar I have ever seen in my life. So don&apos;t be afraid to take the kids. Next up, located in the heart of Carmel&apos;s Art & Design District is another local favorite, The Pint Room. 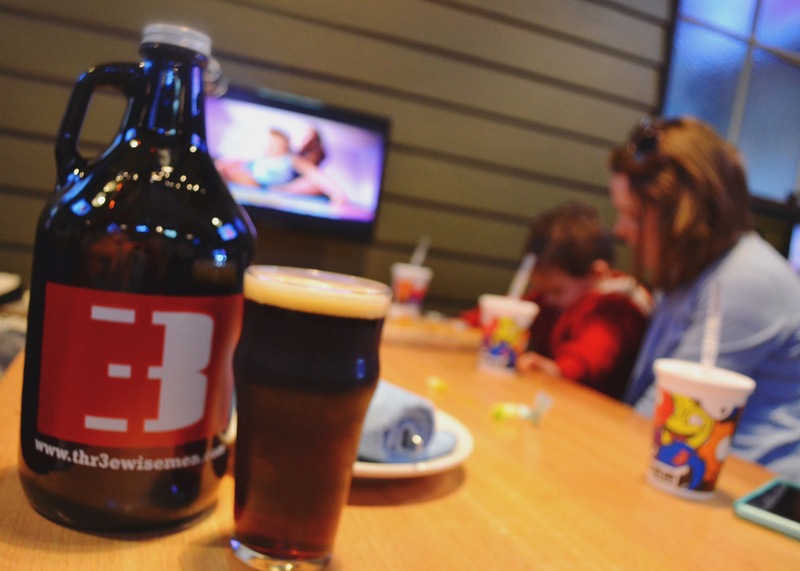 This location has over 100 different brews you can peruse. So when your bracket is busted in the first round, you&apos;ll have plenty of beer choices to help drown your sorrows. This reminds me of how I felt last year when my team lost for the second year in a row to the same team. My hometown team from Arizona is nicknamed the "cardiac cats." That&apos;s because watching them can make even the calmest of fans have a serious panic attack. If watching the tourney makes you an anxious wreck, I suggest Alley&apos;s Alehouse. This location is family friendly and has bowling alleys that can help you get up and get moving. 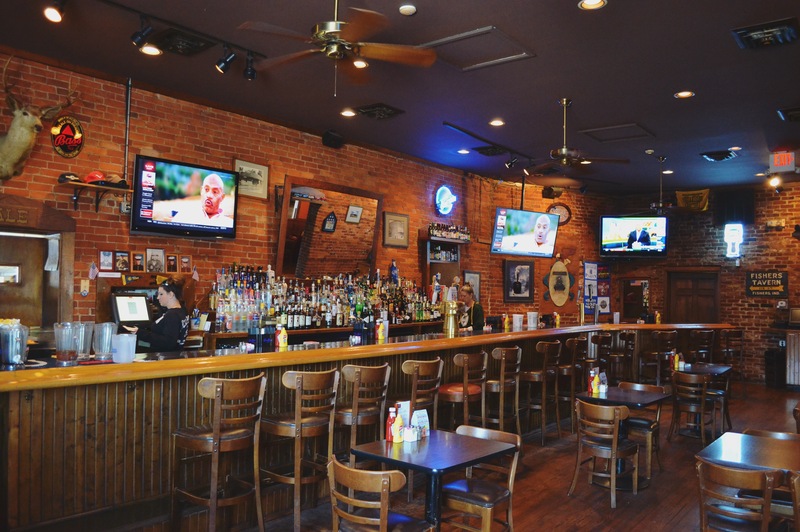 Rounding out the Final Four places I chose to share is The Nickel Plate Bar and Grill. This family-friendly spot located in the heart of Fishers is ideal for the basketball loving couple. It&apos;s the smallest place on the list and far more cozy. Speaking of romance, if you are like me you will have spent countless hours perfecting your bracket. Your wife will have berated you for watching ESPN every night before bed, and your kids will lament the fact that you only listen to sports talk radio in the car. But you will have the PERFECT bracket. That is, until some unknown college from West Dakota or some nonsense ruins it with their "Cinderella Story" that turns your fairy tale into a nightmare lickity-split. It&apos;s during this moment, when your neighbor, who apparently graduated from West Dakota U with his undergrad degree, will make your life miserable and you&apos;ll need a place to escape. That&apos;s when it&apos;s good to know where to catch a game of hoops in the HC to blow off some steam. 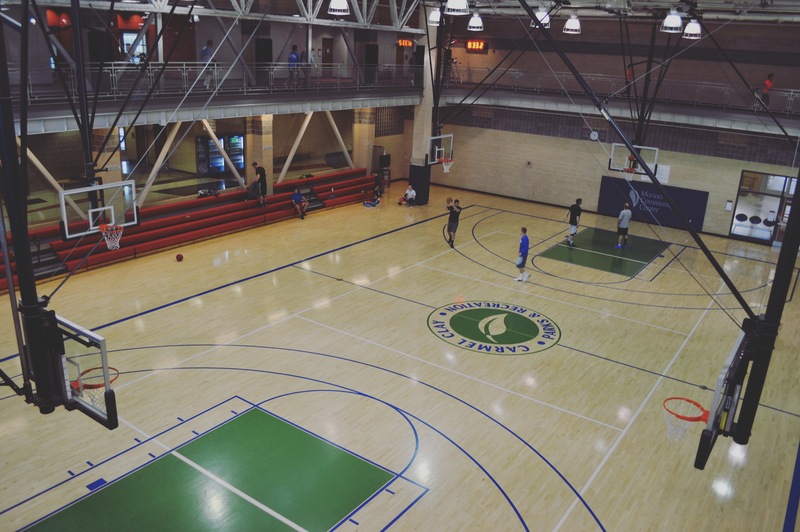 The Monon Community Center is the quintessential Hamilton County spot for a pick up game. Located in Carmel, this facility is open to public (for a fee) and has open gym hours for the H-O-R-S-E hero and tournaments for the truly serious ballers. The YMCA in Fishers is a members only facility but its youth and adult sports leagues are open to nonmembers as well. So you&apos;ll want to plan in advance to get yourself registered to a team to utilize this location. If you love it, you can join up and meet me for some 1 on 1 while our kids are in swim lessons. Grand Park now boasts the newest field house in Hamilton County. While its currently only for tourney play, all of which is pre-booked, it&apos;s a great place to catch a game where the outcome won&apos;t cost you your $20 buy in and your dignity around the water cooler the next day. Best Choice is located in Fishers and is also mostly for tournament play. Catching a game here will give you the chance to see the next Lebron in action before they get too big for their britches. Its always fun to say you saw the greats play way back when, right? And with the Hoosier State having the most infectious case of the basketball jones in the country, it&apos;s a safe bet you&apos;ll find a future legend pounding the boards. Indiana loves some basketball and there&apos;s no time like March to get into it. Grab a bracket, grab some friends for a pint and when all is said and done, show them there are no hard feelings with friendly game of 3 on 3. Hamilton County has you covered when it comes to this great game.